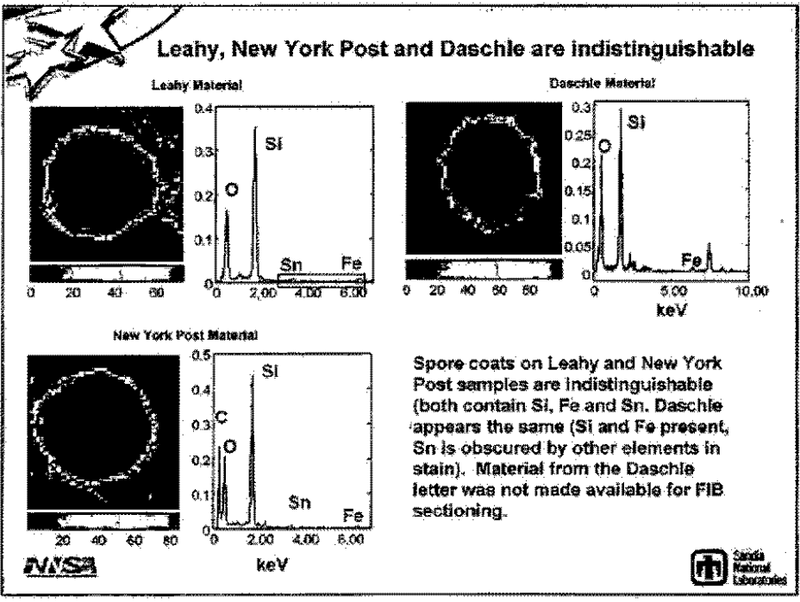 * Leahy, New York Post and Daschle are indistinguishable « CASE CLOSED … what really happened in the 2001 anthrax attacks? This entry was posted on March 11, 2011 at 5:48 pm	and is filed under Uncategorized. Tagged: ** NAS anthrax study, *** 2001 anthrax attacks, *** FBI anthrax investigation, Daschle anthrax powder, new york post anthrax powder, Senator Leahy & anthrax. You can follow any responses to this entry through the RSS 2.0 feed. You can skip to the end and leave a response. Pinging is currently not allowed.